INTRODUCING THE REAL BANE VOICE CHANGER! 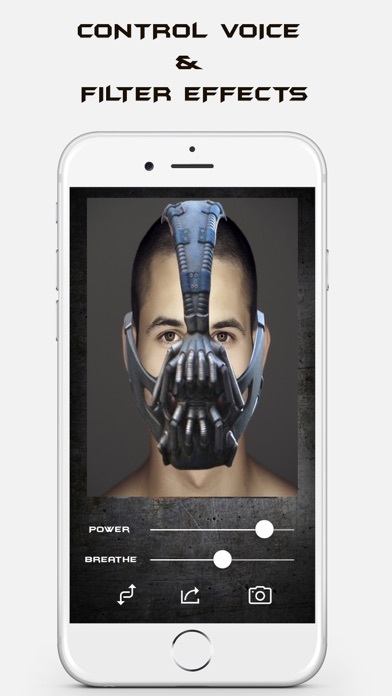 Live the Bane character you got to know from the Batman movies with Bane Voice Changer. 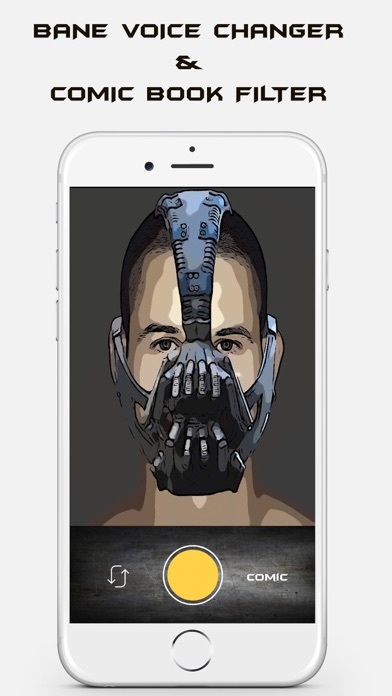 The only app on the app store with realistic bane audio processing to transform your voice to Bane voice and 3D face filter! Simply record your voice, and transform it to Bane voice by hitting the Transform button. Your voice will be played back with realistic Bane voice. In addition, you can control the power of the Bane effect and speed of your Bane voice for maximum control. When done transforming your voice, share to your favorite platform! For "the best" babe voice changer it does a really horrible job. You can do a better job on your own without this app. This app just makes it worse. This app is the worst. Don't get this app. If you want an app that makes you sound like Bane this isn't it! I should've read the review first. Even when I try to change my own voice to get it closer, it still doesn't even come close to the mark. I'd like my 2 dollars back please. App should be free. No where near a Bane voice. Could still be fun to mess with, if it was free. This is a voice changer but you have to talk like bane to get this to work...pointless. Wallpaper Fix - Fit your Home & Lock.screen Images with Filters, Frames, Stickers & Many More! Voicy Voice Changer Free HD - Alter Your Sound into Funny Chipmunk Helium Ghost and Many More!